Don Julio® Tequila is produced in the Highlands of Jalisco, where the microclimate and mineral-rich clay soil allow the blue agave plant to flourish. Each drop of Don Julio® Tequila is produced here and each bottle features our NOM number — our seal of authenticity — signifying where the tequila was made. Unlike many other distilleries, La Primavera only produces one ultra-premium tequila, Don Julio® Tequila. Each product is crafted with the same attention to detail and passion that Don Julio González embodied. Each bottle of Don Julio® Tequila is made from handpicked, 100% pure Blue Weber Agave plants from the highlands of Jalisco—one of the country’s most fertile agave-growing regions. It is here where each agave plant is allowed to grow seven to ten years before it is harvested, resulting in the mellow, fully developed agave flavor Don Julio® Tequila is known for. 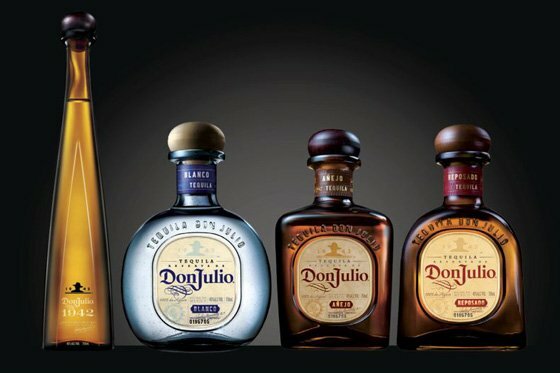 It is this attention to quality, craftsmanship and tradition that sets the Don Julio Tequila Brand apart from other tequilas and makes it the world’s finest luxury tequila. Our Jimadors, generation after generation, are experts in the craft of harvesting agave. They are also highly respected craftsmen in Mexico. They handpick and then uniformly hand cut the agave pencas (leaves) from the piña to increase the quality of juice. To achieve the distinct flavors of each of our aged tequilas, each offering is aged for a different amount of time in our temperature-and-humidity-controlled white oak barrels. For example, Don Julio® Reposado Tequila is aged for 8 months whereas Don Julio® 1942 Tequila is aged for at least two-and-a-half years.